Finatics has a large fleet of daytime and sunset cruise boats that fit whatever needs your group may have. We offer multiple boats to accommodate larger groups. Dauphin Island residents and travelers enjoy some of the most gorgeous sunsets that the gulf coast has to offer. Make it a romantic date or enjoy the sunset with the family. The sound of the water, brisk of the evening breeze, and amazing spectacle of the horizon is always successful at bringing people together. On occasion, our guests get the benefit of spotting some dolphins. Your captain will push off the dock in the perfect amount of time to catch the sunset from every angle and give a private tour of the island. Whether it’s an anniversary, special date night, or a sunset island tour with the family, our island cruises are sure to be an experience to remember. Our primary tour vessel is a Bennington 22SSX powered by a Yamaha 115HP outboard engine. She sports 2 rear seats, a live well, changing room, L bench seat, and two front benches. 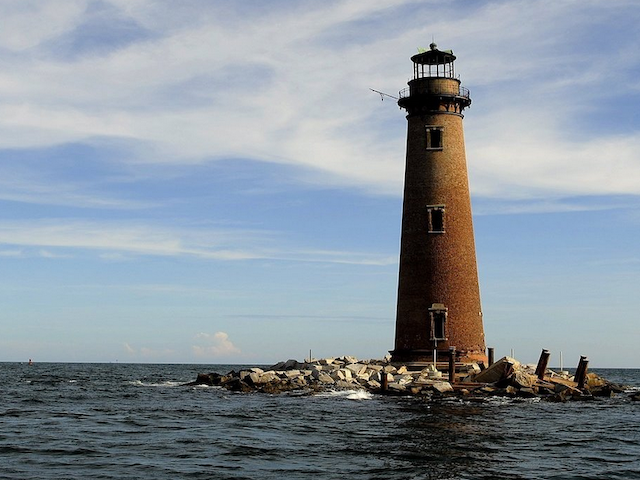 This layout provides the perfect environment for an enjoyable boat cruise around Dauphin Island. We offer 4 tour types and you can choose your trip length. Join us for a Lighthouse, Sunset, Dolphin or West End tour. Having trouble deciding? Try the 360 Island Tour that combines the Dolphin, Lighthouse & West End Tours or DESIGN YOUR OWN!